Disclaimer: I received the products below free from Influenster to test, review, and enjoy. Additionally, I personally always attempt to purchase and use all natural, chemical – free products but I am not evaluating any of the products from that angle. I simply used the products and am giving my feedback on what I liked and disliked. Me: I received a can of the Vaseline Spray & Go Moisturizer Total Moisturizer with pure oat extract to use and sample. The scent of the lotion was not pleasant to me, maybe others would be more pleasing. Also, I didn’t think it saved any more time than my current moisturizing product and routine. I think it could be great for photo shoots, weddings, the beach, or any special event where you need instant moisture in a fine mist. For everyday use, the price at $7.99 is too steep for me. If you used the can everyday it would probably last about two weeks. I’ve been using the product for a month and it’s been far from daily and it’s just now running out. 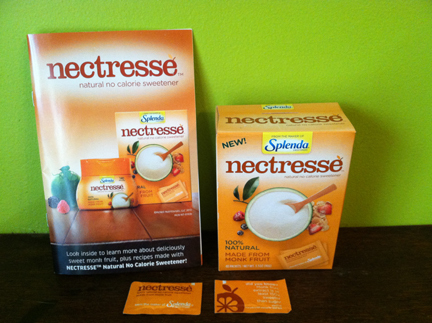 Item #2 – Nectresse, $6.99 for 5.9 oz. container, or $3.99 for box of 40 packets. Me: I received a box of 40 packets and sent some to my twitter friend, farmerdarrell and distributed some to another friend as well (who I keep forgetting to ask what they thought). I’m hypoglycemic so I’m always interested in alternative sweeteners that don’t affect blood sugar levels. I don’t really cook with sugar or use sugar in my daily routine so I just sweetened beverages to test it out. I didn’t like the way the sweetener made my cup of coffee taste. Granted, I do like my coffee black but the sweetener had an odd aftertaste with the coffee. It would be great for malts, shakes, cereal, oatmeal, pudding, etc. 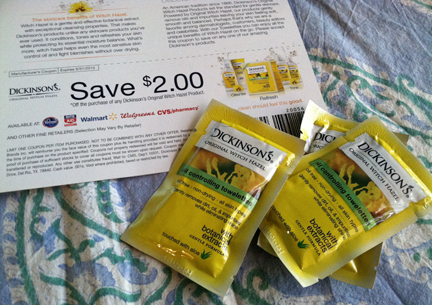 Item #3 – Dickinson’s Original Witch Hazel Oil Controlling Towelettes, $5.99 for a 20 count box. Me: I loved this product. I have sensitive, dry skin and these towelettes did not further dry or irritate my skin. I loved the convenience of the packets as they were easy to take with me to modeling jobs or the gym. I’ll definitely be purchasing these again and think they should be a staple in any travel kit. Me: I agree that the Colgate Optic White products whiten better than ordinary toothpaste alone. However, I can’t say that I see a difference from the other whitening brand of toothpaste that I had been using. I thought the toothpaste and mouthwash both had a clean and refreshing flavor. I loved the head and bristles of the brush but couldn’t seem to get a good grip on the handle base on the shape and size. I wouldn’t buy the brush because it kept slipping around in my hands but I have long, skinny fingers and hands. If you don’t, then you may have better results. I’d recommend the toothpaste and the mouthwash. Me: I also loved these and will definitely purchase them. 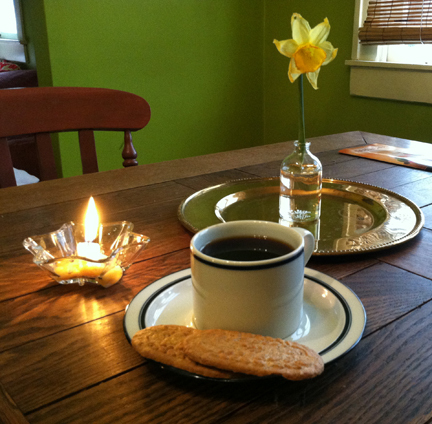 I liked the texture of the biscuit and it did provide sustained energy. It was sweet enough to be pleasant and it seemed to be a low glycemic food but that’s just based on how my own body digested it, I don’t know if it is or not. They tasted good, it’s a great price for a nutritious, on-the-go snack and I always have a bag of food just like this on hand. Try them, you’ll like them! Categories: Product Review | Tags: #breakfastbiscuits, #Brilliantsmile, #Dickinsons, #nectresse, #sprayandgo #sugnspicevoxbox, beauty reviews, BelVita, Colgate, Dickonsons Witch Hazel, Influenster, Influenster Voxbox, product review, product sampling, Sugar ' N Spice, Sugar 'n Spice Voxbox, towelettes, Vaseline, Voxbox, witch hazel, witch hazel towelettes | Permalink. 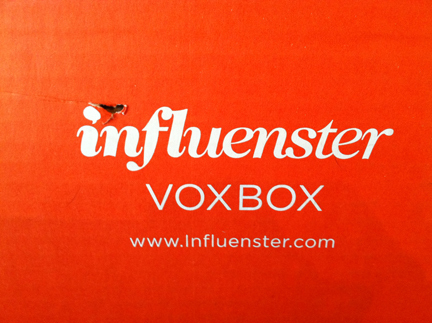 I just received my latest Voxbox in the mail and was so excited to unpack it and discover the goodies I had been sent. I swear, Influenster must know my personality because all of the items in the box are right up my alley and totally fulfill a need I have. I haven’t had a chance to use any of the products yet since I just unpacked them but thought I’d introduce them and then I’ll write a review at a later date. I like all natural sweeteners, especially ones that don’t raise the blood sugar and affect insulin levels. 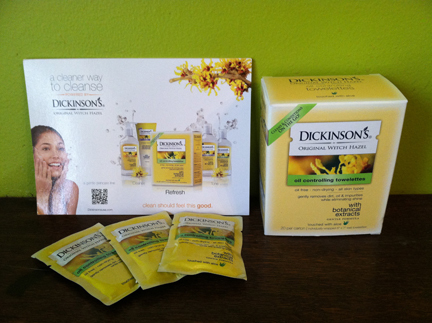 “Introducing Dickinson’s Original Witch Hazel Oil Controlling Towelettes – The soothing blend of Witch Hazel and aloe on these facial wipes rejuvenates your skin by gently lifting dirt, oil and impurities from you pores while nourishing even the most sensitive skin. The result is a clean, refreshed and blemish-free complexion even when you’re out and about. I’m an on-the-go kind of woman so products like these are a total lifesaver. I frequently have to take a full face of makeup off after shoots and this makes it simple, two wipes in my purse and I’m set. I am so excited to try this product I have needed something like it. As a model it’s important that my skin stays moisturized and looking young, fresh, and healthy. I have sensitive skin and typically choose to use all natural products. However, for testing and fun and being grateful for gifts I will be using all of this product. I’d like to research the ingredients as I’m always curious about that sort of thing but I don’t know if I’ll get around to it before the review. We’ll see! The lotion does have fragrance which is negative for me as I won’t be able to use it when I go on modeling gigs. I hope they make a scent free version as that would be perfect! “Use the Optic White toothpaste, toothbrush, and mouthwash together for whiter teeth in five days (vs. brushing with an ordinary toothpaste alone). A bright white smile is important to me and I’m always willing to try something new. You never know what you might discover! I just finished my tube of Crest 3D White today so I’m going to start my five day challenge tomorrow. I’ve used Crest 3D White for a few months now and even though it’s not natural I use it because it works. 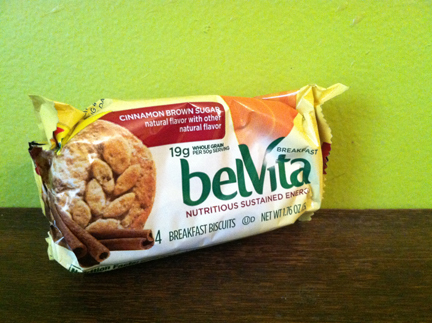 “belVita Breakfast Biscuits are made with delicious ingredients and carefully baked to release steady energy that lasts all morning. They are a good source of Fiber and B-vitamins, contain no high fructose corn syrup, have 18-20 grams of whole gran per 50 gram serving and taste great – perfect for on-the-go! Again since I’m always on the move easy-to-carry food and nutritious food is important to me as well. I’m a reactive hypoglycemic so I have to watch my sugar intake and make sure that I eat frequently to keep my blood sugar stabilized. These biscuits don’t have high fructose corn syrup which is a huge plus. 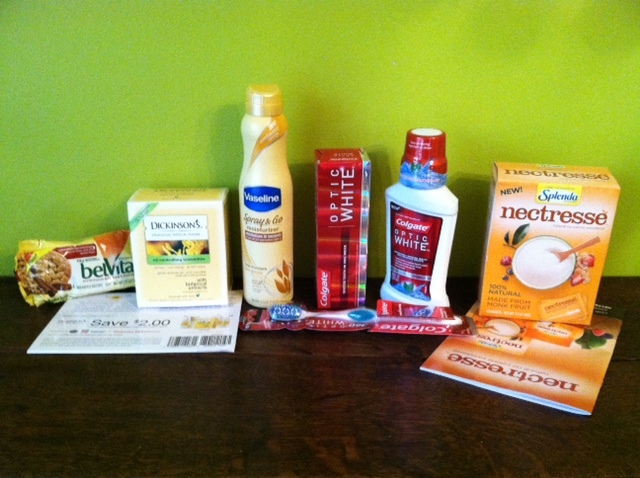 Please note I received all of these products for Influenster for testing purposes. 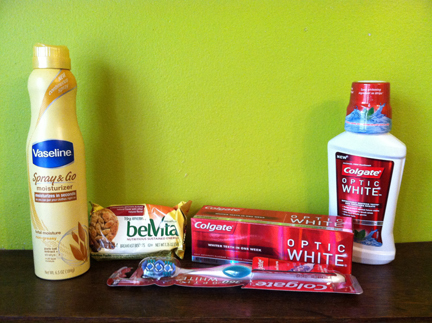 Categories: Product Review, Uncategorized | Tags: #breakfastbiscuits, #Brilliantsmile, #Dickinsons, #nectresse, #sprayandgo #sugnspicevoxbox, BelVita, Colgate, Dickonsons Witch Hazel, Influenster, Influenster Voxbox, product sampling, Sugar ' N Spice, Sugar 'n Spice Voxbox, towelettes, Vaseline, Voxbox, witch hazel, witch hazel towelettes | Permalink.